Woolf's first novel is a haunting book, full of light and shadow. It takes Mr. and Mrs. Ambrose and their niece, Rachel, on a sea voyage from London to a resort on the South American coast. Rachel Vinrace embarks for South America on her father's ship and is launched on a course of self-discovery in a kind of modern mythical voyage. The mismatched jumble of passengers provide Woolf with an opportunity to satirise Edwardian life. The novel introduces Clarissa Dalloway, the central character of Woolf's later novel, Mrs Dalloway. 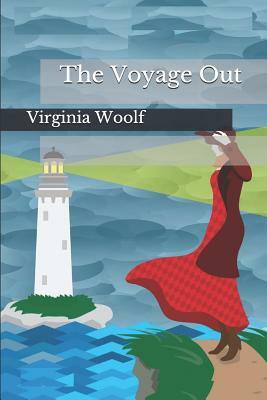 Two of the other characters were modelled after important figures in Woolf's life. St John Hirst is a fictional portrayal of Lytton Strachey and Helen Ambrose is to some extent inspired by Woolf's sister, Vanessa Bell. Rachel's journey from a cloistered life in a London suburb to freedom, challenging intellectual discourse and discovery very likely reflects Woolf's own journey from a repressive household to the intellectual stimulation of the Bloomsbury Group.